After last night’s final choral rehearsal of Britten’s Spring Symphony I have been contemplating the idea of the collective consciousness. When it works, it is magnificent. The choir seems as if it is one being, breathing and singing together to produce a glorious sound that transports the audience. It is one of the aims of a good choir and the feeling it brings when it is done right is one of the amazing aspects of singing with a group of people. When it goes wrong, it can be heart-thumpingly scary. 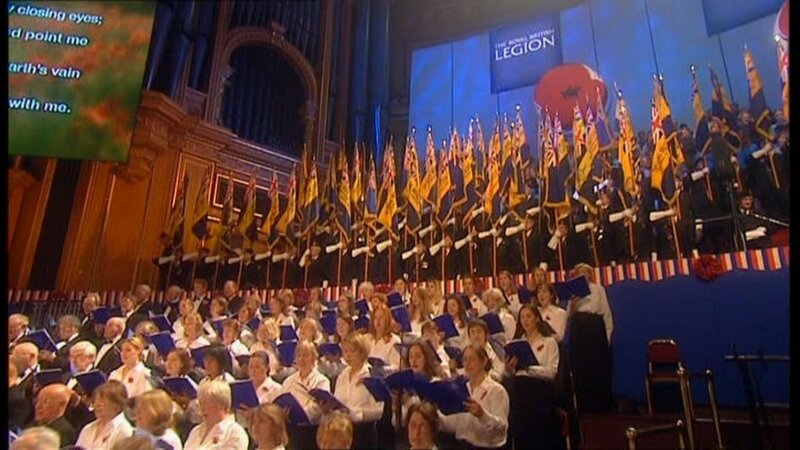 My former choir, Wimbledon Choral Society, have been lucky enough to sing at the Royal British Legion’s Festival of Remembrance for a number of years. It really is a privilege to sing to a capacity Royal Albert Hall and take part in the service to remember those who have served in the armed forces. Then there is the additional thrill of trying to spot yourself on TV behind one of Katherine Jenkins’ frocks. From a musical point of view the repertoire is not usually challenging, with straightforward hymns plus oohing and ahhing in the background to support the soloists. You could feel the collective confusion as Hayley began singing and we all started wondering where on earth we were in relation to the music we had in front of us. Normally, counting bars is not an issue, but it turns out to be a major problem when the conductor is beating in a different time signature to the one that you think you are in. Consequently, we were thoroughly lost when Hayley finished her verse and turned expectantly to the 200-strong choir behind her… Collective panic. Immediately followed by collective stiff upper lip, collective putting on a brave face and collective singing something in the chord. Never have I been so glad to get to the end of a piece. Collectively, we just couldn’t get it right (although the plus side of this type of piece is that no one knows what you should have been singing anyway). Back to the present day and the Britten requires a certain amount of collective consciousness, particularly with regards to pitching the first note of new movements. For those of us without the gift of perfect pitch, being told to find your note from a fourth above the tuba or from an orchestral chord that sounds like the composer’s cat wandered over the manuscript is definitely a leap of faith. Next week’s heart thumping moments will be in the seconds before we sing, as we hope our collective consciousness carries us to choral greatness … and the correct notes. The CBSO Chorus will be performing Britten’s Spring Symphony with the CBSO conducted by Ed Gardner at Symphony Hall, Birmingham on 17 and 19 September.